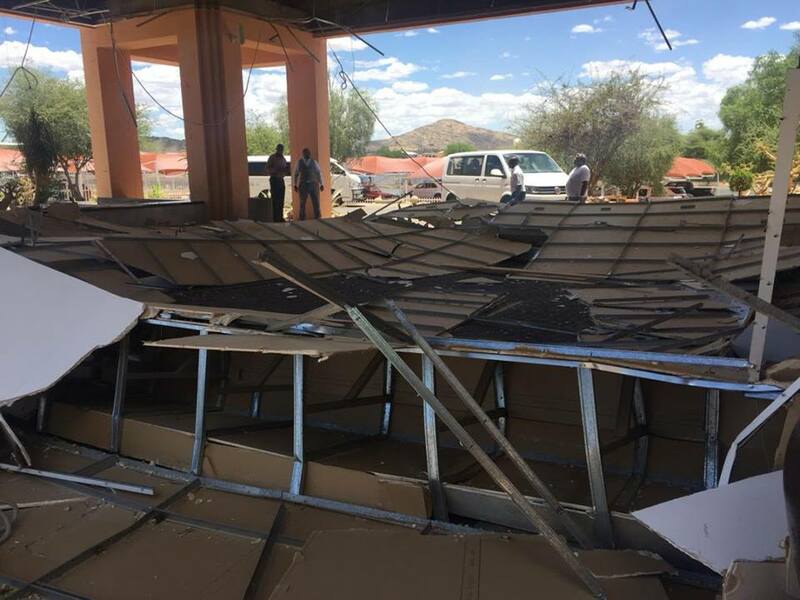 Bystanders and guests at the Windhoek Country Club and Resort, one of Namibia’s Premiere accommodation and gaming establishments, were stunned after the entire ceiling and supporting structure below the roof in front of the main entrance foyer collapsed without warning. 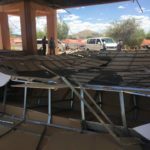 The incident occurred shortly before lunch time on Tuesday at the main entrance to the hotel and casino where VIP visitors and guests are normally welcomed at the facilities. As far as could be established no-one was injured during the shocking incident.